Awards season just got a lot more exciting for the unparalleled artists under The Orchard’s worldwide umbrella. 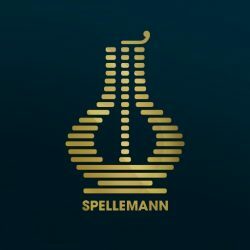 Of the 99 nominations dealt for Norway’s Spellemannprisen 2017, aka the “Norwegian Grammy Awards,” nearly half come from The Orchard’s roster and our recently acquired Nordic distributor, Phonofile. Here’s some insight on a few artists on the ballot. Hailing from Oslo, infectious pop/rock four-piece Hajk is in the running for this year’s Pop Group award. Their latest release, a self-titled debut, is a 38-minute sprint filled with ear worm melodies, delicate musicianship and memorable one-liners. Check out my favorite track, “Magazine,” below. Let’s head to the Electronic category for our last highlight: Norwegian electro-pop trio SASSY 009. Made up of friends Sunniva Lindgaard, Teodora Georgijevic, and Johanna Scheie Orellana, SASSY 009’s Do You Mind EP is an explorative and creative debut record that expands the boundaries of the genre. Watch the VHS-textured video for “Are you leaving” below. Motorpsycho does not only wield one of the best band names I’ve ever heard, but they also boast a nomination for this year’s Rock category for their triumphant effort The Tower. With huge riffs, oscillating Leslie speakers and a touch of prog, Motorpsycho is everything you could want and more out of a killer rock band. Listen to the fantastical title track from The Tower below. Find the full list of nominees here, and all of The Orchard/Phonofiles’s nominees below.